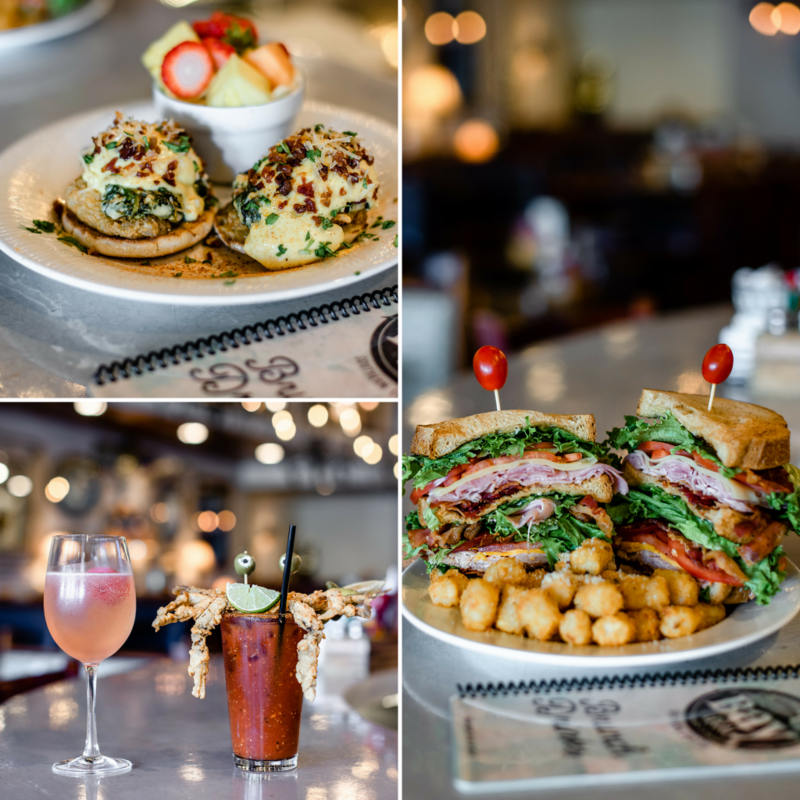 As most Virginia Beach natives know, brunch is a popular weekend activity in the area. You’re likely to find lines over an hour long, and people willing to wait it out because the entire experience is worth it. 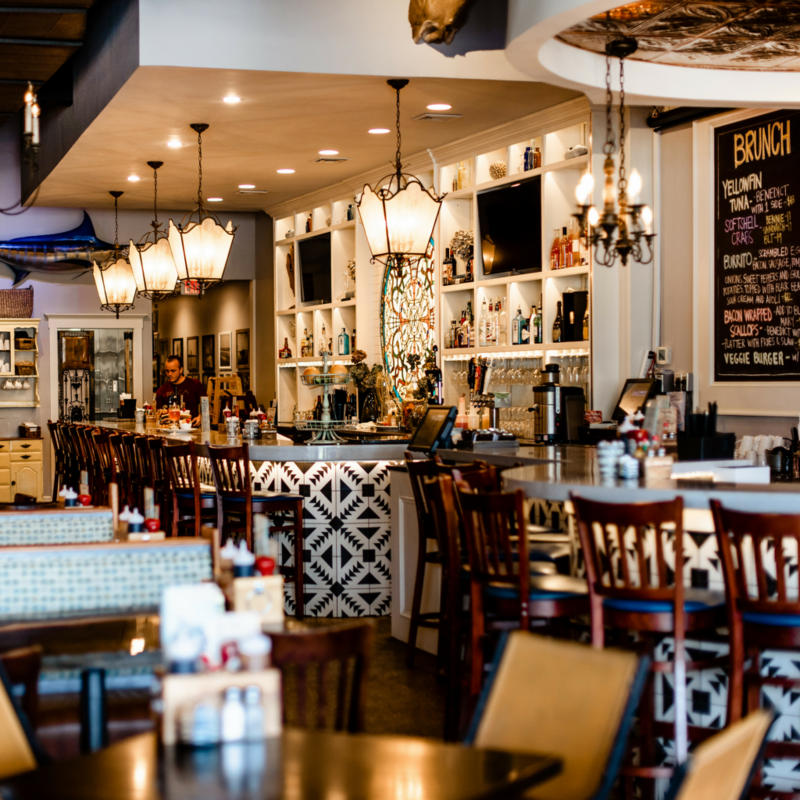 This couldn’t be truer of Bay Local – a shabby chic restaurant specializing in brunch, with a seasonal, Southern Coastal flair. 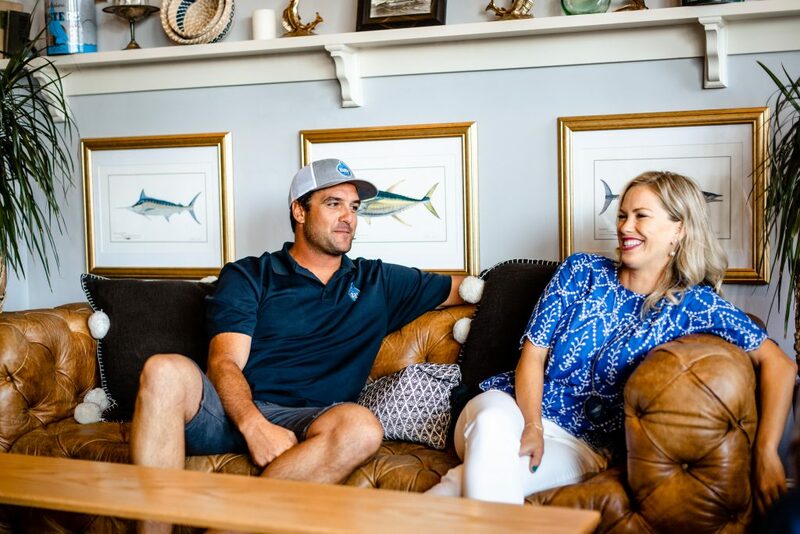 We sat down with husband and wife owners, Adrian and Whitney Colaprete, to learn how it all came to be. Adrian Colaprete grew up in and around the restaurant industry. His father was the longtime owner of the renowned Jewish Mother, where he did everything from scraping grease off the floor, waiting tables, bartending, managing the cooking – anything his dad taught him or asked him to do. Despite learning a lot from his dad, Adrian definitely carved his own path. Before opening Bay Local, he split time between long days on the boat doing charter fishing, and would then head straight into the night bartending. Between feeling burnt out and the economy forcing charter fishing to take a downturn, it was time to look at other options. Wife and co-owner, Whitney Colaprete, also worked at a Virginia Beach dining staple – Big Sam’s. Although she agreed it was time for a change, she was wary the first time Adrian expressed wanting to open a restaurant. “I was definitely taken aback at first,” Whitney admits. Adrian recalls having a lot of different restaurant concepts in his head, but he really wanted the location to dictate how it played out. He enlisted the help of friend and corporate real estate agent, Neal Sadler, to begin scouting possible leasing opportunities. “We looked at a ton of different places. He (Neal) would break out the map and show us options all across Virginia Beach but we were very picky. We probably drove him nuts,” Adrian shares. Adrian grew up around the Oceanfront and Whitney in Roanoke, VA. Neither had ever really ventured around the Shore Drive area that much. But one fateful morning, Adrian went to breakfast at a restaurant on Shore Drive and noticed the brunch scene was booming. He immediately wanted to tap into it. Today, Bay Local has two Virginia Beach locations – the original on Shore Drive, and now a second on Laskin Road near the Oceanfront, where we met with the Colapretes. 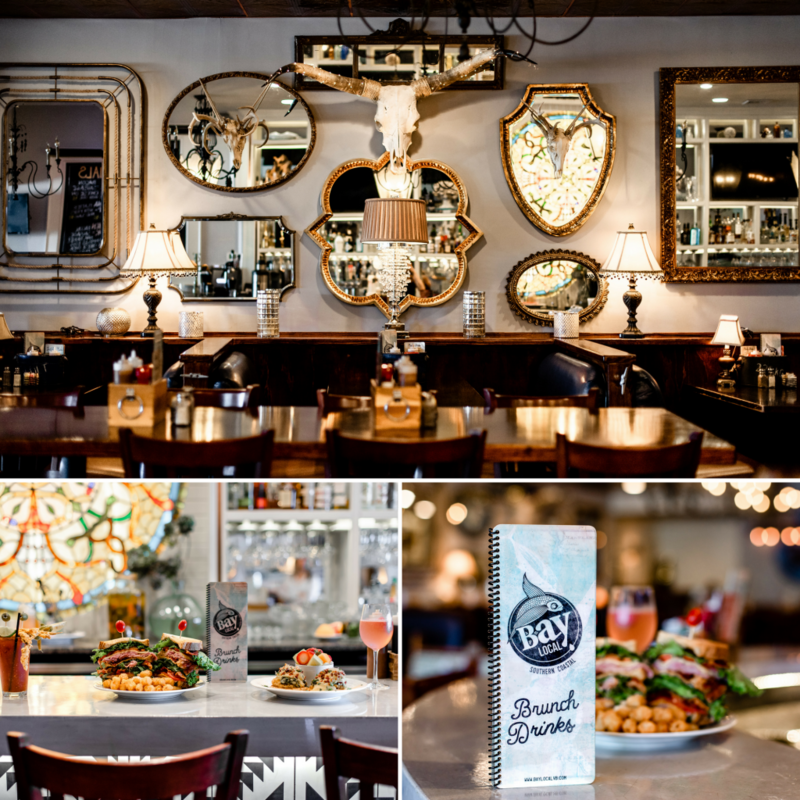 Bay Local has become one of the most successful brunch restaurants in the area. It has been featured by Food Network Magazine, made ample charitable contributions (often without ever even attaching their name to it) and recently, has expanded beyond its original brunch concept into doing dinner three nights a week, with a packed house. Yet, when asked what the most rewarding part has been, Adrian and Whitney are quick to share the same sentiment: Raising their daughter, Teal, and being able to spend time together, slow down, and prioritize family. “It’s so easy to get wrapped up in it. 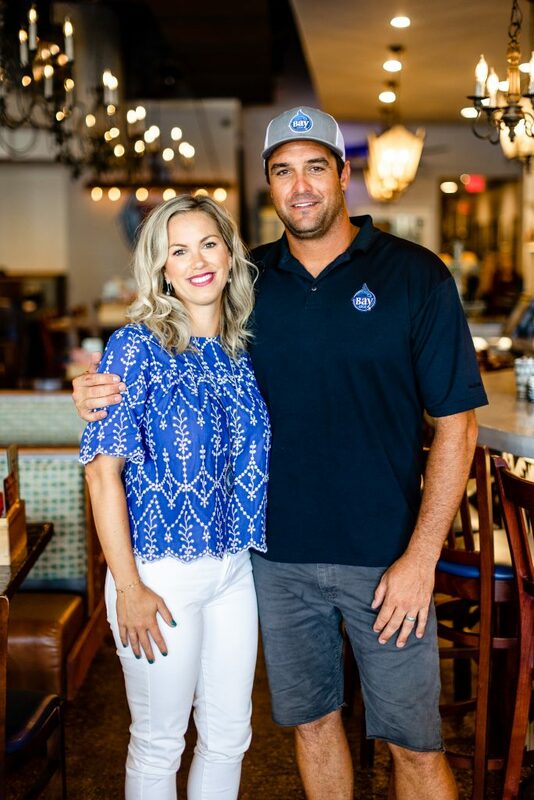 Prior to having Teal, we were living in our roles within the restaurant and barely coming up for air, but as the business has grown, we’ve been able to enjoy one another and our family more,” Whitney tells us. We got the feeling that although there are tons of hurdles to jump with owning a restaurant – things like late night manager phone calls and never-ending errands; when you love what you do, it doesn’t cloud your joy. “When you put good in, you get good out. I really enjoy feeding people and putting the effort into creating new things. Whether you’re selling peanuts or shoes, your heart has to be in it or it’s forced. You have to love what you do,” Adrian expresses. Although the food, drinks, service, and cleanliness speak for itself, they don’t stop there. The first thing you’re likely to compliment when walking into a Bay Local Eatery is the décor. This is all Whitney’s doing. “I care a lot about the ambiance and environment of a place. It becomes somewhere people can come hang out and enjoy their experience. I’m constantly scouting new pieces – and I’ll even bring in stuff from our home,” she shares. Each piece tells a story – a favorite are the booths towards the front of the Laskin Road location that they found on the side of the road. Originally from a Chick-fil-a, they replaced them with new wood and recovered them. With an eclectic taste, she buys it when she sees it. “You can’t pass that stuff up!”, Whitney exclaims. When asked about future locations, Adrian is enthusiastic and filled with lessons from the first two openings. “From a business and quality standpoint, smaller is ideal,” Adrian tells us. Some of Bay Local’s recipes are over a page long. They require significant attention to detail and a lot more work, but it certainly doesn’t go unnoticed by any of its customers. It’s easy to see that Adrian is brimming with ideas for spreading his passion for fresh, high-quality, local food throughout the area. 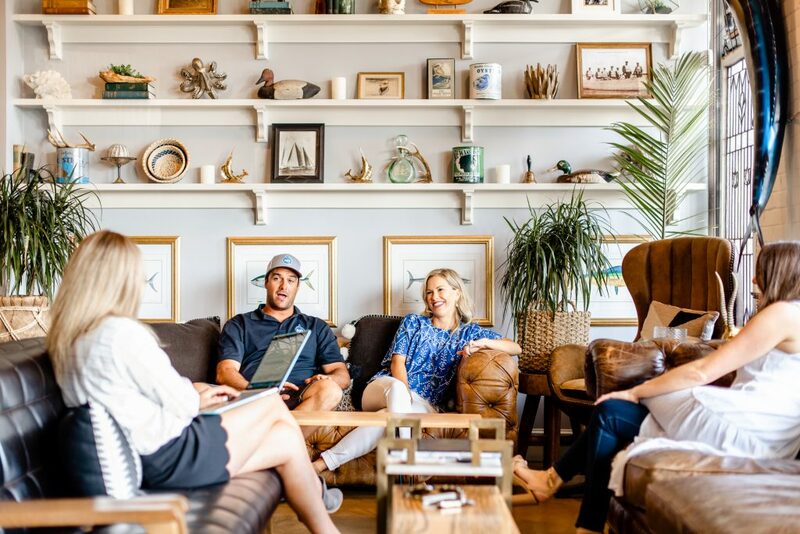 The Colapretes shared a number of concepts with us for how they plan to continue raising the bar and elevating what Bay Local brings to the table. 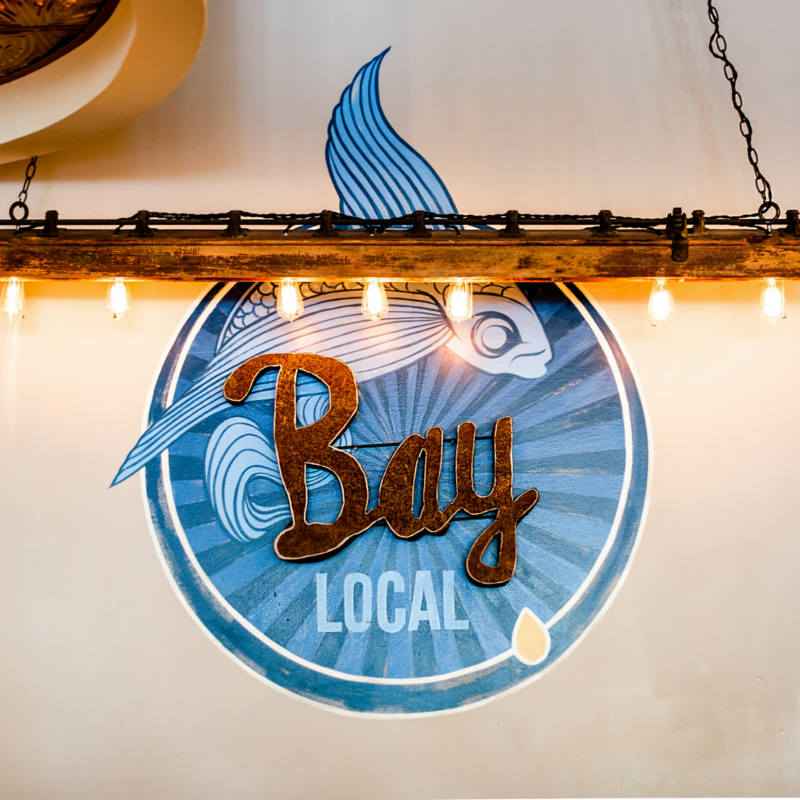 Bay Local often connects with its 14,000+ Instagram followers, hosts regular events, and serves up weekly “fresh-ials”, made with some of the best local ingredients you can’t get anywhere else. Try out the owner’s favorites—Adrian’s is the Bay Roll, a sushi creation with blue crab and large pieces of spicy tuna. Whitney’s is the crabcake with sautéed kale or the Fried Chicken Bennie and a Dogwood cocktail. Drop in seven days a week between 7am-3pm for breakfast, brunch, or lunch, and a varied dinner menu between its two locations Thursday through Saturday.